Does your heart flutter when you’re daydreaming of traveling to Latin America? Do your taste buds ignite when thinking of burritos, empanadas or anything with picante (hot sauce)? Do you secretly watch telenovelas (you know, to learn Spanish)? If so, you might officially be a Latin American Spanish (LAS) lover! One huge draw to LAS is the variety of colorful, unique regional accents, slang and dialects. So hold on the picante for now and let’s go ahead and explore this rich linguistic world together—by listening to vibrant voices of the area! What Is Latin American Spanish? First things first: Is there such a thing as Latin American Spanish? We’ll have to go with yes and no for this one. LAS exists in the sense that Spanish is a Romance language derived from Latin that was officially brought to the Americas during Spanish colonization beginning in 1494. LAS exists in the sense that Spanish is officially recognized and spoken in 19 countries throughout Central and South America. Pero cuidado (But, be careful) because the term “Latin America” also refers to the other Romance languages spoken and brought over through other early European colonizations of the Americas, including both French and Portuguese. Latin America is comprised of all three Latin-derived linguistic groups, but for our intents and purposes, we will refer to Hispanic America, i.e. countries where Latin American Spanish or LAS is spoken. Linguistic tidbit: The word “Hispanic” is derived the Roman Empire’s name for the Iberian Peninsula, our modern-day Spain and Portugal, which was then called Hispania. Okay, let’s continue. So why did I answer “no” as well? LAS does not exist in the sense that there is a uniform accent and continuity of vocabulary, slang and lexiology throughout Hispanic America—because there isn’t. LAS does not exist as an official linguistic entity, but rather, as a broad term. This is a linguistic umbrella of sorts to include all the varieties of Spanish spoken in the Americas. Of course, as in any good language debate, there are linguistics on both sides of the argument. Some argue that a term such as LAS implies there is uniformity, while others claim that the similarities outweigh differences in slang and pronunciation to employ LAS. Whatever your opinion on the matter, it’s an interesting topic to reflect on. However, this broad terminology is mostly designed to distinguish the Spanish language spoken in Hispanic America from its European counterpart in Spain. For this reason, when speaking of LAS, it’s a good idea to be respectful and mention which country you are speaking of (i.e. LAS from Mexico, LAS from Argentina, etc.). We would do the same to distinguish ourselves as U.S., Canadian or Jamaican English-speakers, because all three technically comprise American English. Despite the complexity and differences in accent, vocabulary and slang, we do find three similarities across the various borders of Hispanic America. It’s safe to say that these three language traits are confined strictly to LAS with perhaps the exception of the town of Seville located in Southern Spain, where we will find the first two traits present as well. Linguistic tidbit: Many of the first settlers in Hispanic America were from Seville, Spain, thus explaining the linguistic legacy and link between LAS and the southern Spanish accent from this old Spanish colonial capital. The letters “s,” soft “c” and “z” are all pronounced the same in LAS phonetic structure, all three taking on the “s” sound. No variant of LAS will pronounce these letters as one would in Spain, where the ceceo (lisp) phenomena persists (with the exception of Seville and the rest of Andalucía (southern Spain), as mentioned above). As such, in LAS we find seseo rather than ceceo. The use of vos, an older version of tú (informal you) is commonly used in conversation, especially among friends and close acquaintances. Although vos is accepted across LA borders, it’s important to note that it’s predominantly used in Central America (Costa Rica, Nicaragua, Guatemala, El Salvador) and the South American countries of Uruguay, Bolivia and Argentina (the latter often opting for vos over tú). We could say that we use voseo in much of LAS. Which Latin American Spanish Should I Learn? Okay, so now you’re probably wondering which variety of LAS is best for you to learn. There’s no denying that first and foremost you need to get the basics down: grammar, sentence construction and verb conjugations. But, once you’re feeling comfortable with that, it’s a good idea to pick a regional accent and vocabulary to specialize in, keeping in mind all varieties of LAS are equally accepted. Which LA country and culture will I most likely visit more than once? Do I have to communicate in Spanish with speakers from a particular country? Will I do business in Latin America? If yes, with which countries? For example, if you live in New York, you might like to specialize in Puerto Rican LAS since there’s a big Puerto Rican population in the City. Of if you’re particularly drawn to Incan art and history, you’ll probably have more fun learning LAS from Peru. If you live in Los Angeles or Southern California, LAS from Mexico will be handy. Once you’ve selected the type of LAS to learn, you can dive right in with our strategies and resources below. Choose an audio bit adjusted to your level (beginners, go for 30 seconds – 1 minute; intermediate to advanced learners, use 2-3 minutes of audio). Try to keep your audio bits to 3 minutes maximum, and remember you can use segments of larger audio. The trick here is to listen to your audio bit or sound bite in three separate time blocks throughout the day, preferably once in the morning, afternoon and evening. There are three tricks to make sure this technique works. First, don’t stop the audio bit, but rather, listen all the way through. Second, listen in a silent area and don’t do anything else while you’re listening (no iPhones, checking email, etc. )—active listening is key here. Third, write down two new words on your third and final listen (in the evening), but no more than two. This activity is incredibly effective and only takes 3-5 minutes of listening time plus 2 minutes for finding your two vocab words, so you’re looking at 7 minutes a day maximum. If you repeat this Monday-Friday, you’ll have listened to 5 audio bits, taken down 10 new vocabulary words and exposed yourself to over 25 minutes of audio in LAS. Download Audacity to slow and speed up audio. This is a particularly helpful strategy when you are a beginner and need to do things a bit more despacio (slowly) at first. Playing around with speed can give you insight into particular intonations and accent rhythms that are common throughout certain LAS accents. For example, if you were to plug in a few audio bits with an LAS from Argentina, you’ll notice the accentuation falls at the end of words and sentences due to the influence of Italian on the language, whereas an LAS from Mexico is a bit less rhythmic. You might not be able to play with your food, but you sure can play with language! This was my Spanish teacher’s favorite activity, which although difficult at times, it brings polished results—especially on your overall pronunciation. Pick an audio bit and perform two separate listens. The first listen is simply listening all the way through with no stops or interruptions. The second listen is where you work, very hard. On the second listen, stop the audio after every sentence, then repeat out loud what the speaker has said. Make sure to record yourself on the second listen. To record you can use your smartphone, or simply an online voice recorder in order to avoid distractions. It’s recommended you do a third listen, this time trying to correct your intonation, accent and pronunciation in order to match it to the speaker. Don’t hesitate to stop in trouble spots to re-listen and re-record several times. In fact, this will help you in the long run, and you’ll also have more recordings to look back on to view progress. This strategy is more of a piece of advice rather than a particular method, because consistency really is the key with language advancement and development, especially with your audio exercises. Don’t take any sudden gaps or long breaks away; keep your ears active. This is why activities like the Triple Listen and Phonetic Repetition work so well, because they are activities you can perform daily and anywhere, despite your schedule and/or location. How do you make this practice a regular occurrence? Well, keep your LAS relevant—as in listen to LAS music, put up your vocabulary words around your room and watch LAS movies. With these habits incorporated into your life, it’ll be a cinch to learn with audio. With these four methods in your back pocket, let’s get to some incredible audio resources that will either expose, redefine or refine your linguistic abilities. 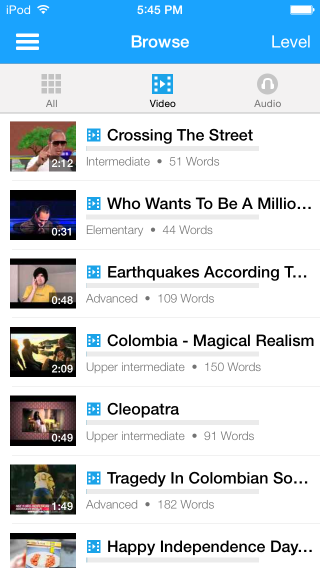 You can browse videos by difficulty (beginner to native), topic (arts and entertainment, health and lifestyle, etc.) and format (video blog, news, shows, etc. ), so there are loads of treasures for every type of learner—no matter your level or interests. 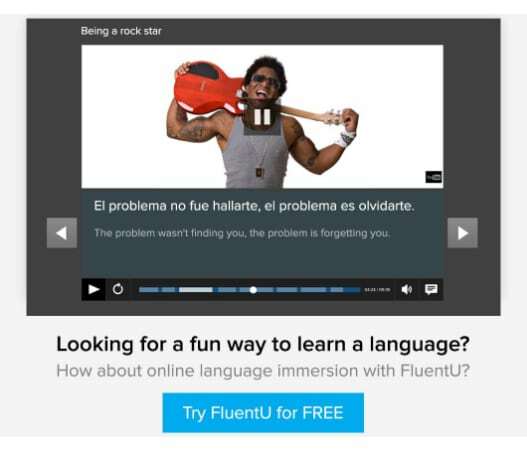 Choose videos and audios that work with your learning style, skill level and personal interests, and FluentU will recommend more authentic Spanish content for you! You can find all kinds of hobbies and topics covered by authentic Spanish videos on the site. From an exciting preview for “Who Wants to Be a Millionaire” in Honduras to an Argentine news clip about a girl who had over-the-top plastic surgeries to look like her favorite cartoon character, these real videos will grab your full attention. Choose any video that strikes your fancy! You’ll see how many Spanish vocabulary words you can learn from it, and you can even look at the transcript of the dialogue and practice vocabulary before watching the video. 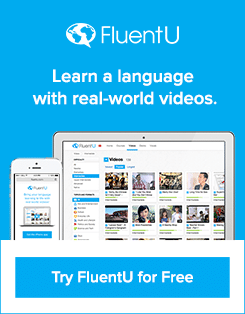 And FluentU isn’t just watching videos—it’s about learning and actively practicing the language you hear in videos. 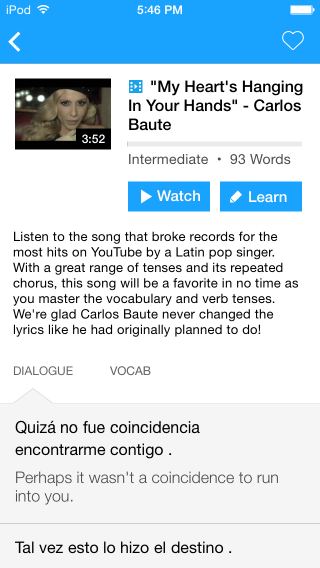 Use the interactive subtitles, personalized Learn Mode, multimedia flashcards, downloadable transcripts, vocabulary lists and loop-play button to learn Latin American Spanish better than ever! Get started today for free with a 15-day trial by visiting the FluentU site. Better yet, download the FluentU app from the iTunes store or get it on Google Play for Android devices! Spanish Headstart for Latin America is an online Spanish audio-textbook which contains over 15 tapes from 15 units. Each unit includes a 2-sided recording totaling 45 minutes each, giving you approximately 7 hours of recorded material in total. There are instructions given at the beginning of each unit in English, proving very helpful for beginners. These recordings expose learners to a variety of LAS accents throughout. 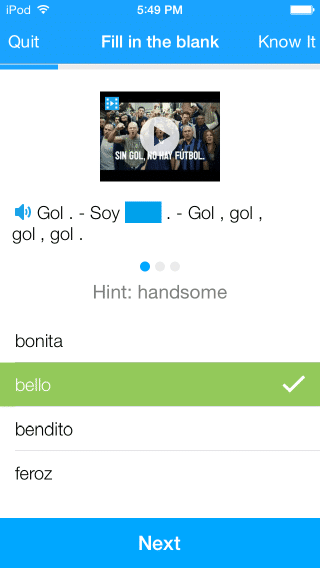 Some recordings, such as this one from Unit 4 offers Spanish/English translations. The speed here is quite slow, so this site is adapted for beginners or low intermediate levels. To make the best use of this resource, be sure to upload the Spanish Headstart for LAS PDF manual in order to follow along. You can also access the audio without Wi-Fi by downloading the complete course along with the 15 recordings. RadioLingua is a fairly new website that exposes world-language learners to the basics in pronunciation, common phrases and conversation through short 3:37-minute audio bits. Lucky for you, they have recently added RadioLingua One Minute Spanish for Latin America, with a premium course and membership in the works that will cost only $12 USD. Currently the free version provides listeners with 10 lessons that offers a nice, friendly and approachable method to LAS audio. These 10 lessons are ideal for beginners, as phrases are repeated several times, with English translations incorporated into the audio bits. To get an idea how the One Minute LAS system works, listen to the 1-minute introductory video and then head over to Lesson 1. For your convenience, all lessons can be downloaded to your iTunes or as an mp3 file on your computer. This site is absolutely fantastic to access a variety of audio clips on Latin American culture, history, politics and ways of life. This site is produced by native LAS speakers, and thus is listened to by Latin Americans themselves, making this a great resource for advanced learners who want to listen to LAS naturally spoken. Alongside speakers from popular LA countries—such as Mexico, Colombia and Argentina—you can also access speakers from lesser-known countries and LAS accents, such as Honduras and Ecuador. The recordings here are long, around 20-30 minutes each, and a lot of the vocabulary is political and advanced, making this a good source for the Triple Listen and Play with Speed methods. Lengalia is another great resource for advanced learners. You can access 30-minute audio interviews between a young woman from Spain (interviewer) and speakers from all 19 Latin American countries. In these podcasts, the native LAS speakers describe the geography, food, climate and famous cities from their town. The objective of these podcasts is twofold: to provide listeners with practical information concerning each LA country by its inhabitants, rather than a third party; and to expose you to the rich variety of accents in Hispanic America. Another advantage of these 19 interviews is that you can easily compare the Castilian Spanish spoken by the interviewer to the LAS spoken by the interviewees. You’ll notice very quickly the differences between the seseo and ceceo, in addition to the softer j pronunciation among LAS speakers. If you’re planning to travel to LA, these 30-minute audios give fantastic contextual information for each LA country. Dialectos (dialects) is the holy grail of LAS sounds and phonetics. The precision of its search engine offers a language gold mine where you can explore all angles of LAS pronunciation and accents. The search engine provides you with four different search fields: country, linguistic feature, conversational topic and indigenous language—how cool is that! Let’s say that you’re amused by the use of voseo in LAS, or perhaps the deletion of the /s/ sound is throwing you off, or maybe you just want to listen to some LAS from Puerto Rico. 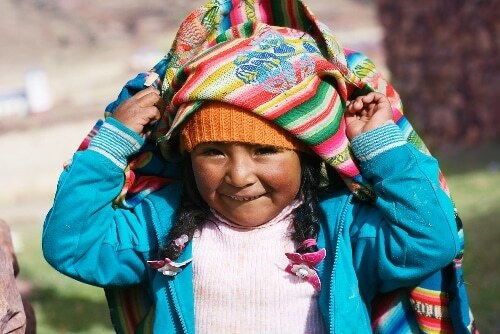 No worries, because Dialectos has you covered—even going as far as offering you audio in the Quechua language, an indigenous Andean language, and also the second official language in Peru. Although the indigenous language section is limited, it’s nonetheless an important linguistic aspect of LA to explore as an engaged learner. Quechua in Peru, Aymara in Bolivia and Guarani in Paraguay are definitely worth exploring because of the re-emergence of indigenous communities in popular society and the formation of these languages alongside Spanish in state affairs. This is a very practical site which offers LAS audio neatly organized in four sections: Art/Culture, Travel/Geography, Society/Economy and Short Stories. The audio recordings range from 6-10 minutes, and all of them come with a colorful written transcript. The topics are complex enough to offer a comfortable level for advanced speakers, but are just accessible enough to create a real challenge for both beginners and intermediates—thanks to the length and written transcripts. Start out with this report exploring the Chilean-Peruvian debate around El Pisco. This is a friendly website that has a wide selection of podcasts on Latin American culture and music. The host does his best to cover and expose listeners to more traditional music from Latin America, as in less-commercialized music that’s produced by the indigenous and African-American communities of the Americas. These podcasts include more music than speaking, so it’s best to listen in on those days where you want some light learning or are in the mood to dance. If you look on the right-hand side, you’ll see a tab called etiquetas (tags) with LA country names. Click on a country to get the music and podcasts pertinent to each country. Grab your headphones and start listening to native speakers from your favorite Latin American country—or all of them! Remember, consistency is more important than length, even if you’re just listening for one minute a day. Good luck!